It is easier to sense the presence of God while worshipping in church, but what about when you’re on your own – when it’s just you, your Bible and a quiet room? Do you feel the Holy Spirit with you? You can! Be an atmosphere-changer and influencer in your sphere and much more! 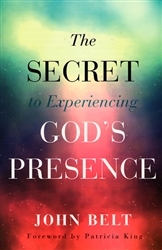 As Belt shares tried-and-true ways to encounter God, he also reveals potential roadblocks and the keys to overcoming them. 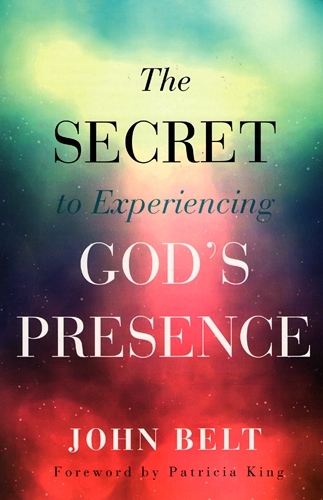 Here is the secret to experiencing God’s presence and living abundantly every single day. If you want to find your own Promised Land with God, find a pioneer who is leading the way and follow. And to make sure you are following the right pioneer, choose one who has lots of stories to tell of past pioneering successes and failures. Learn from his or her mistakes and emulate much of what you learn along the way. One such pioneer is John Belt! Many books can be written about obeying God, but precious few are written about living in His presence in your daily experiences. That is because presence living can only be taught by those who are actually living it. Get this book! It changes everything! John Belt is a recognized writer, worship producer and the co-founder, with his wife, Brandi, or Overflow Global Ministries. John helps people discover abundant life in God’s presence, traveling throughout the United States and abroad speaking and leading worship. He has produced more than thirty worship albums, and he releases teaching and prophetic articles weekly, which appear in publications such as Charisma magazine and The Elijah List. John and Brandi reside in Cincinnati, Ohio.